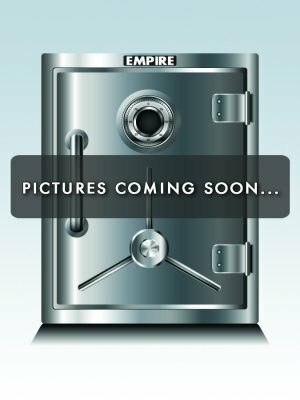 Real Safes. Real Security. Real Solutions. 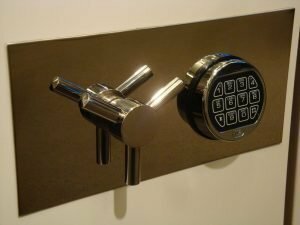 Being that private homes are more susceptible to a burglary or fire, we believe that a house that stands alone on its own needs a versatile and complete safe to anchor its home security. Cue the Gotham G6 High Security Home Safe. With six sided armor plating, fire resistant composite construction and, a powerful locking mechanism, the Gotham G6 Safe will afford you a lifetime of peace of mind while sending would-be burglars off to find another victim thats a much easier target. The Gotham G6 is a safe that is years in the making. No home safe on the market carries this much manganese alloy steel in its door, let alone its 5 walls as well. All it takes is a covert inside job or a devastating fire to lose everything. By installing a Gotham G6 in your home, you now can take control of your security and your destiny. 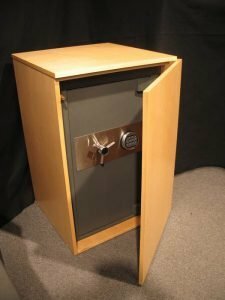 We offer custom storage solutions for the interior of your safe. These interiors are available in a variety of wood and lacquer finishes and are handcrafted to fit the interior of a new or existing safe. Examples of our standard wood finishes are shown below, but if there’s a particular hardwood or color you prefer, let us know. We will customize the interior to meet your individual requirements. Please note that finishes vary in grain and color so may not match image shown. Drawers, Cubbies, Adjustable Shelves, Drawer Pulls, Etc. 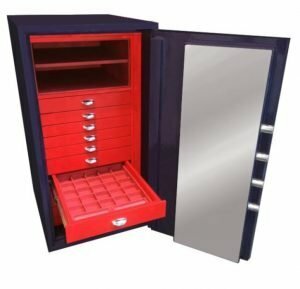 We offer various height drawers for the storage of jewelry and watches, yet are available in virtually any height to accommodate the items to be stored within. 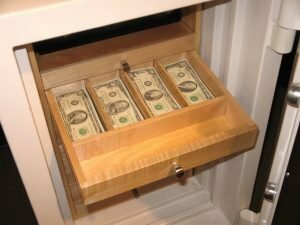 In addition, we offer customized layouts inside drawers for the storage of documents, cash, coin collections, flatware, etc. Heights noted below indicate gross height of drawer (actual inside clear height is less). Open cubbies for the storage of documents, cameras and other items can be outfitted with adjustable shelves and lined with the same materials as the inserts for the drawers. 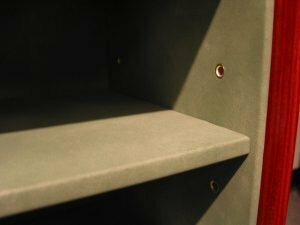 Column compartments can be fitted with adjustable shelves and/or pull-out slides with hooks for organizing jewelry chains. 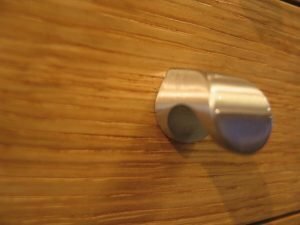 Standard drawer pulls are available in a variety of finishes. 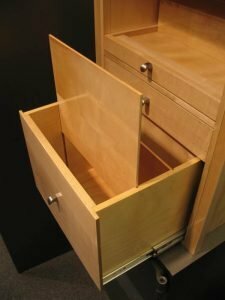 Taller drawers available for the storage of jewelry boxes, documents, etc. 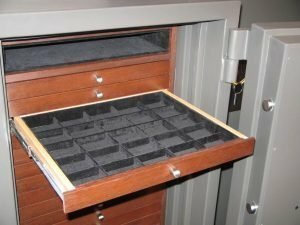 All drawers for Style 1412T and 1612T inserts are typically supplied with wood runners so you can remove them from the safe and place them on a surface outside the safe. 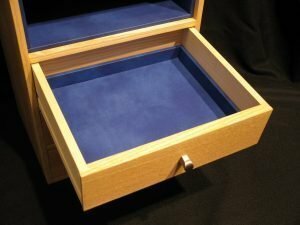 Drawers for standard watch inserts are fitted with full extension slides, unless otherwise indicated. Full extension slides can be supplied on many drawer sizes, depending on the particular safe. 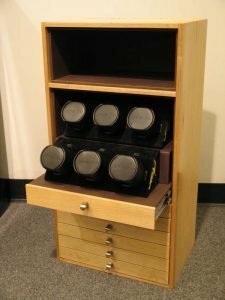 For the storage of automatic watches that require periodic movement to keep them wound, we can outfit your safe with single, double or triple watchwinders (battery powered) or install a customized interior with multiple watch winders (lithium battery powered -or- electrical connection required). Please discuss your particular requirements with one of our security consultants. Photo on the right shows a pull-out shelf for battery powered winders, to accommodate up to 6 watch winders (per shelf) in a 12″ deep safe. Drawers can be fitted with luxuriously covered inserts configured to organize jewelry, watches and other valuables. We offer standard layouts as well as custom configurations and materials to meet your particular requirements (see drawings of standard layouts below). 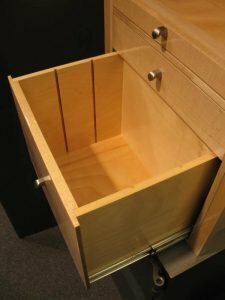 Inserts are sized to fit in any height drawer. They are removable so you can determine where you would like each to be placed for convenient storage of particular items. 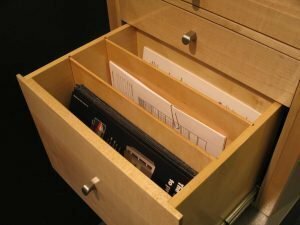 If you intend to have one or more taller drawers in your safe, please think about where you would like them placed since you’ll probably use a specific insert for them. Trays shown covered with Sage Elite material, we also stock these trays in Zen (Black) Alor and Mineral Alor. Custom materials, high-end faux-custom leather and suede in a variety of colors. 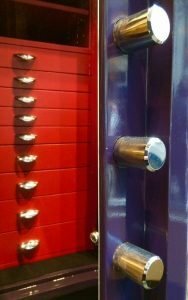 We also paint safes with custom colors to complement your decor (for an additional fee). When selecting a color you should make sure to coordinate the various interior finishes, jewelry and watch tray materials, drawer pulls and mirrored finishes with your exterior color. We are prepared to assist you with this effort. 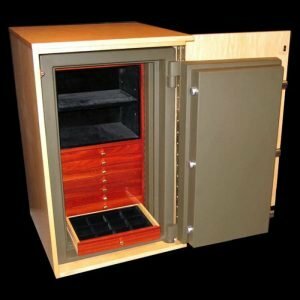 The safe to the right (Model G6 2414-12) has a custom paint finish, a birdseye maple interior with custom brass drawer pulls and custom inserts covered with Perle Elite material. All models can be fitted with mirrored brass or stainless steel fittings for an additional fee. 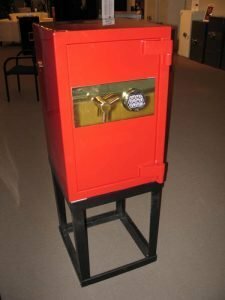 Many of our clients prefer to have their safes raised off the floor, which makes them easier to access on a daily basis. We fabricate such bases to the appropriate height that best suits your personal requirements. Our open steel bases are “construction grade” for applications where the base will be cosmetically covered by others. 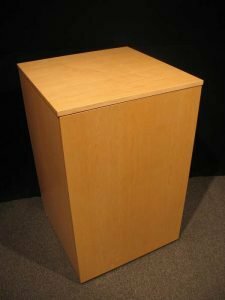 Open bases can also be supplied with adjustable shelves inside so one can utilize the space below the safe to store other items. 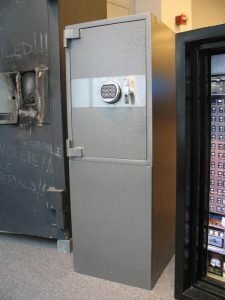 We can also supply completely enclosed and painted bases to match the exterior color of your safe. 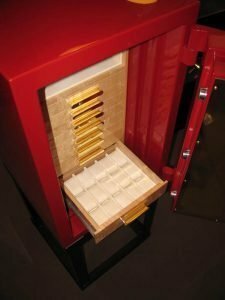 We designed a unique cabinet that permits the safe door to open 180 degrees, allowing complete access to the interior of the safe. Cabinets are available in a variety of wood and painted finishes to complement your decor. We can also work with your cabinetmaker to help them design an enclosure for the safe you select.